If his career in business alone were considered, David B. Haight would be one of Utah State University's most distinguished alumni. 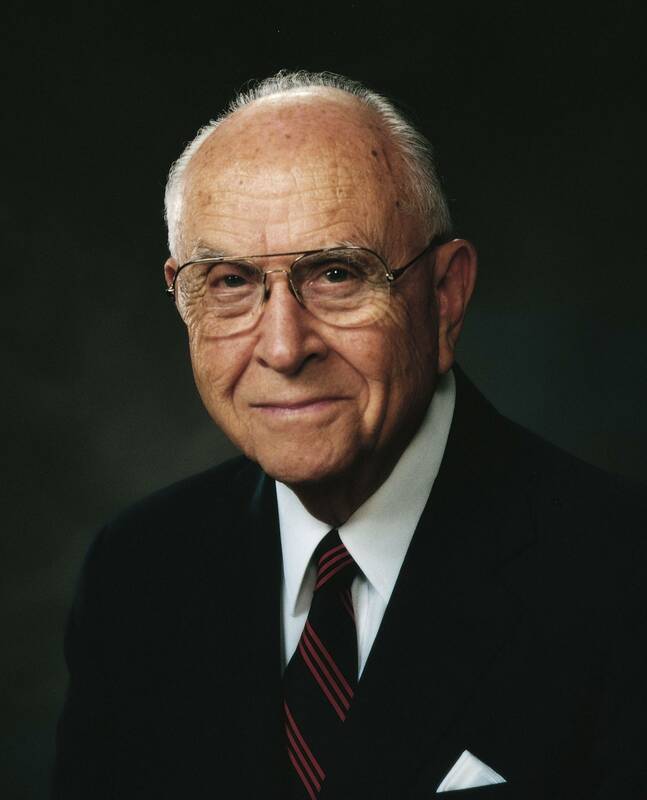 As an executive of Montgomery Ward, ZCMI, and other companies, he displayed a remarkable business acumen, based on good management principles and wise human relations skills. But as he achieved in his business, he also distinguished himself through service to his community and church. He served two terms as mayor of Palo Alto, California, was a governor of the San Francisco Bay Area Council of Mayors, was a Red Cross campaign chair, blood bank director, and director of Stanford-Palo Alto Hospital and Channing House Retirement Center. He held leadership roles in the Church of Jesus Christ of Latter-day Saints, serving as president of the Scotland Mission and as a member of the Quorum of the Twelve Apostles. His stature has added to the stature of his alma mater, Utah State University, and to its students, faculty, staff, and fellow alumni. In grateful appreciation, USU awarded David B. Haight its Presidential Citation May 23, 1989.